A brilliantly conceived menu board with the most unique of designs. 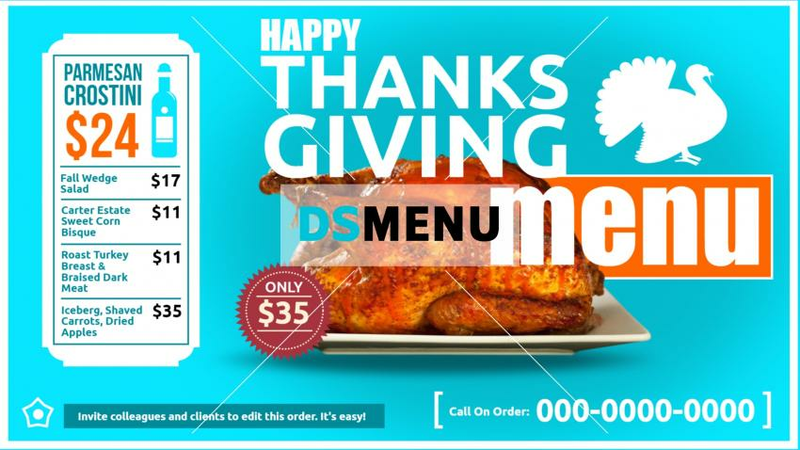 The sky blue color background provides the best of elegance and the image/ graphic of a roast turkey completes the refined setting. The rectangular box on the left incorporates the exclusive menu of a drink and four delectable items. On a digital signage screen, the impact will bring in half the town in half a day ! All told, this template is a steal !